Hello everybody! Sorry about the lack of posts lately, I have been super busy... moving house! We've spent the last 2 weeks doing all that fun stuff like setting up the phone lines, struggling with Ikea instructions, moving things from my parents' house and cleaning, cleaning, cleaning. All grown up and it only took 26 years. Now that the internet is set up, I can get back to blogging. I have got heaps of posts to go through, as I've been baking heaps and testing out the new oven. There were muffins, there were Anzac biscuits, there was banana bread, and a couple of roast chickens. It also happened to be my birthday last week, which involved cocktails at Der Raum and an amazing dinner at The Point. These are all coming up soon, but in the meantime, let's have a look at some wonderful foodie presents I got for my birthday. ... and David Lebovitz' new cookbook! I am a big fan of David Lebovitz', having made a couple of recipes from his lovely blog. 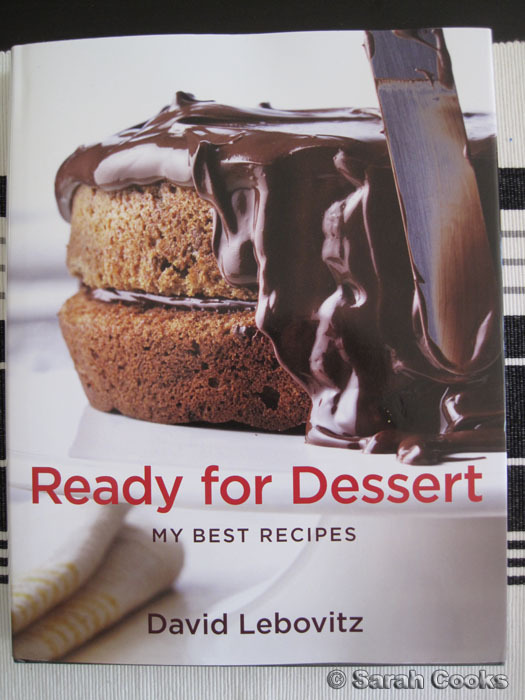 I was particularly keen on this book when I realised his ultimate chocolate chip recipe was in it. And how good does that ganache look? 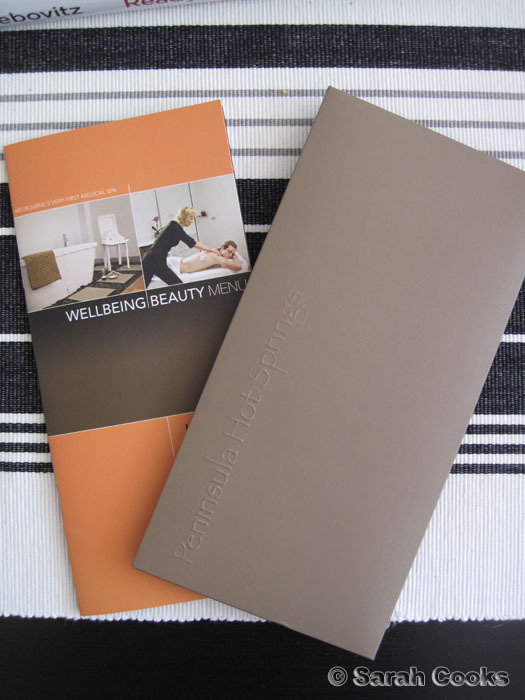 A couple of spa vouchers from Sandra and my parents. 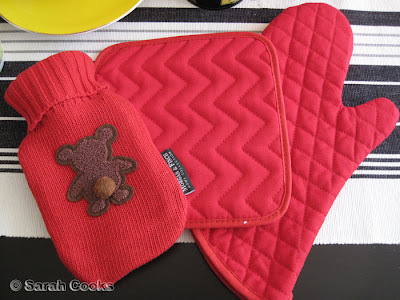 It's my dream to be an international spa tester, and these will help me on my way, hehe. 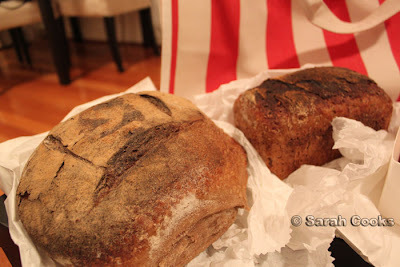 My friend An brought me down a selection of breads and pastries from my favourite bakery in Canberra- Silo - all carried in a big stripey shopping bag from Canberra's The Essential Ingredient. 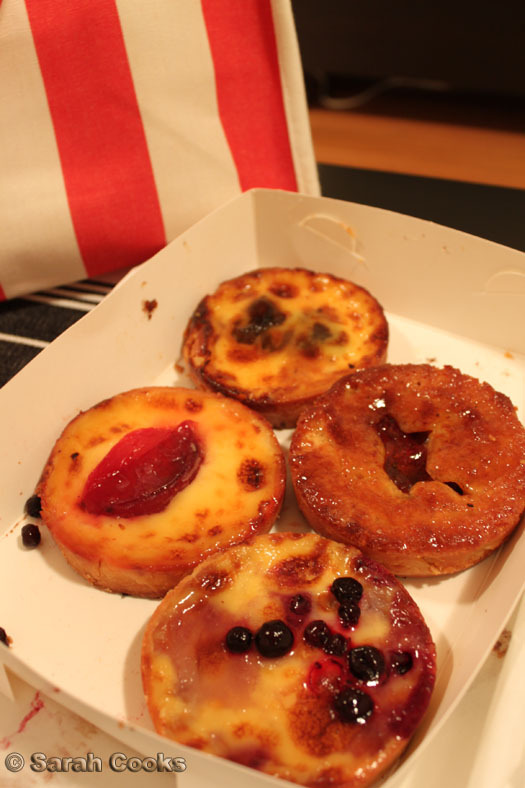 ...and 4 tarts! The one on the right was strawberry with frangipane, and the rest had an eggy custard with fruits (blackberry, blueberry, peach). Delicious. 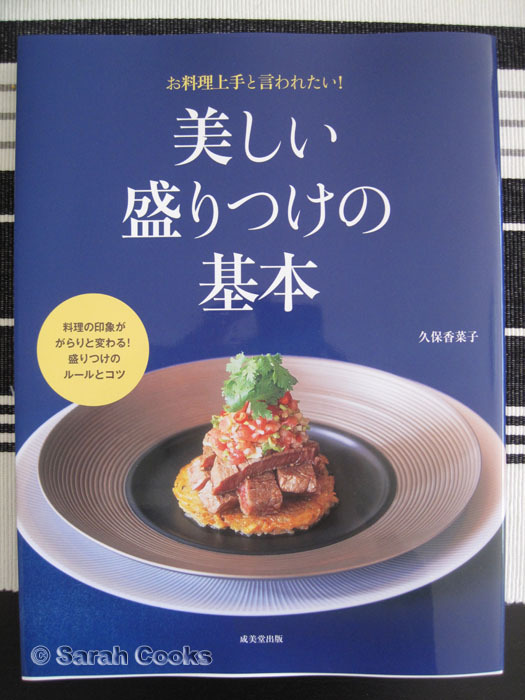 My bro is currently teaching English in Japan, and he sent me over three cookbooks. 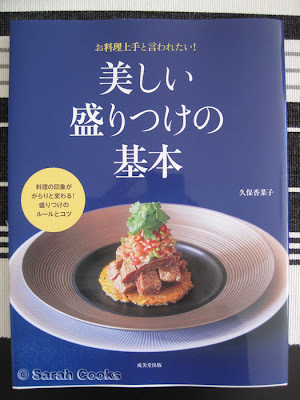 The first one is about beautiful plating - the rules and tricks for assembling beautiful meals. 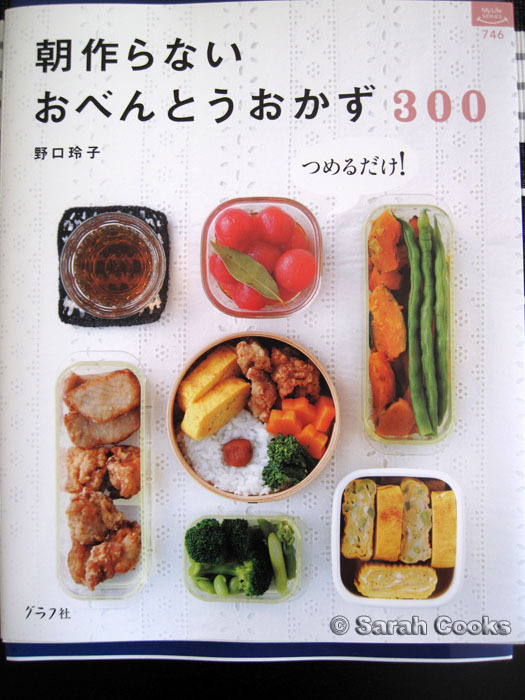 Next, we have "300 bento dishes that you don't have to make in the morning". Tsumeru dake! Just assemble! I love how pretty this book is. Finally we have Potager Patisserie's "Sweets made from seasonal vegetables". "Recipes from the original shop are now open to the public. These new sweets are great for women! Vegetables from the four seasons are transformed to be cute and healthy!" 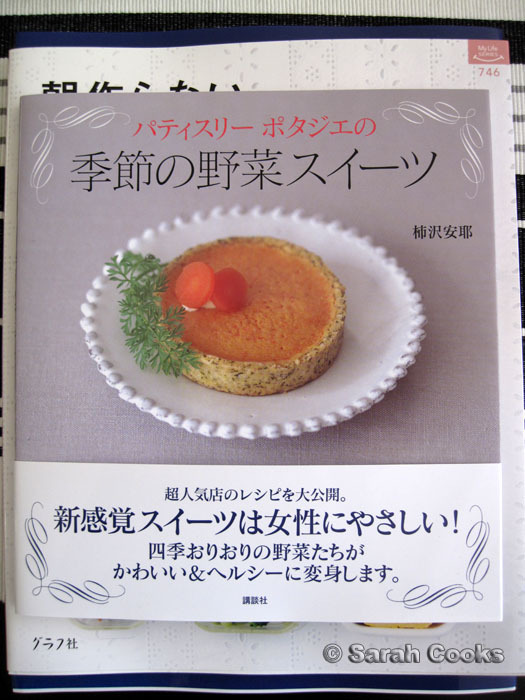 There are lots of interesting recipes in there, like lotus root and white chocolate brownie, white asparagus Swiss roll, and okra iles flotantes. Very very cool! Su got me this super-cute hot water bottle and some much-needed oven mitts. I love the puffy little tail on the bear! Kristine, apart from cooking an amazing lamb curry on my birthday night, also got me a cute Babushka mug! 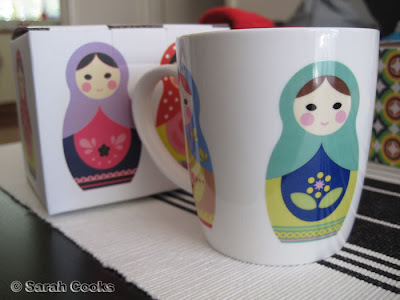 Although they're supposed to be Babushka (yaya! 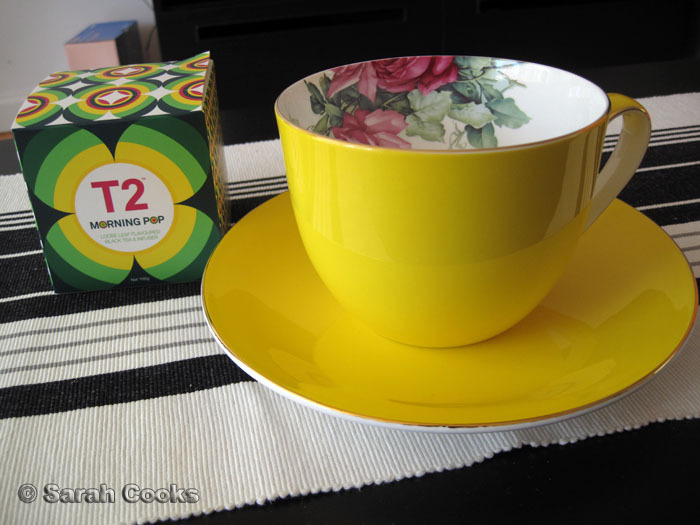 ), the mug reminds me of the Malay ladies back home wearing colourful baju kurung. 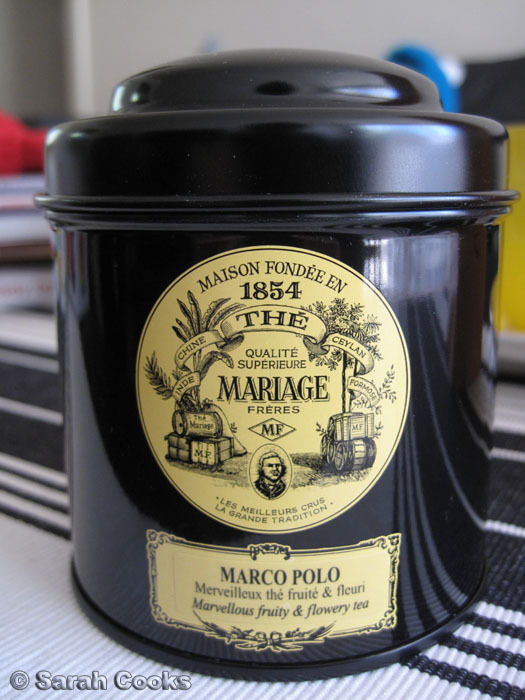 My friend Clarice in Paris sent over a tin of my favourite tea - Mariage Frères Marco Polo tea. How lovely is the tin? On the way over, the folks at customs opened up the packet so a little of the precious tea had spilled, but it was otherwise unharmed. Adri and George got me a huge Friends-style mug, with a packet of Morning Pop tea - black tea with real bits of vanilla beans. It's absolutely delicious, and wonderful for afternoon tea, as the vanilla flavour really complements any cake or biscuit. Finally we have a beautiful crystal fruit bowl that Thanh got me. 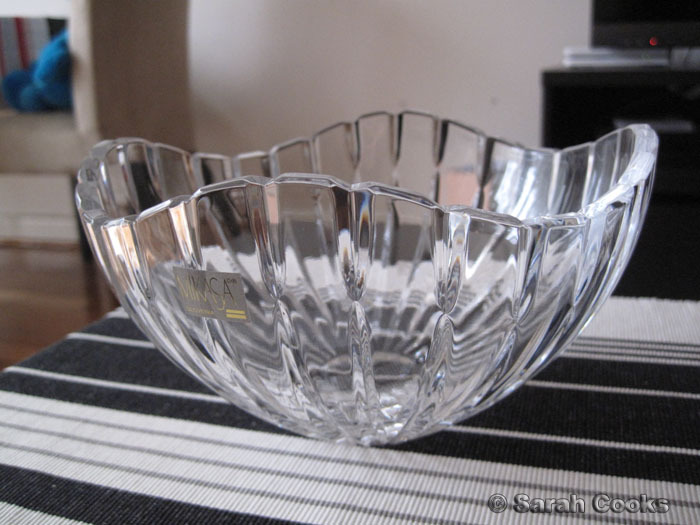 Oooh, shiny! For his birthday (a few days after mine), Sandra & I made him a huge black forest cake, which was a headache and a half! That will be blogged soon too. So, now I'm back, and there are lots more blogposts to come up soon! 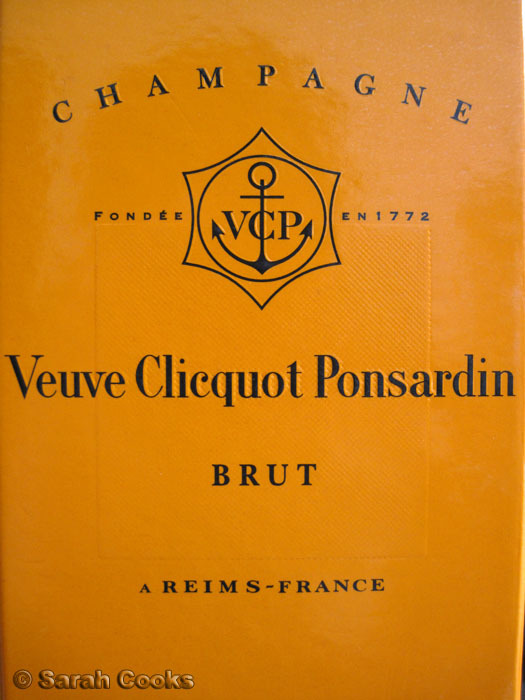 What a big week, a birthday and moving house. You have some beautiful presents there. I look forward to all the things you can cook in your new kitchen. Happy Belated Birthday! Enjoy the new place!! Fabulous presents! Oh, I'm definitely going to look out for that bento book - I'm soooo lazy in the morning. @Mark - we have been cooking a LOT in the new kitchen, it's so cool having my own place! @Su-Lin - it's a great book. There was a bento with kara-age chicken in it, yummmmm.